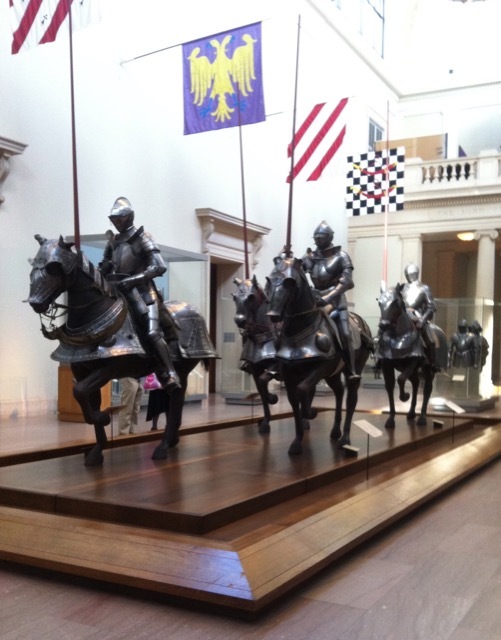 Armored horses and riders in The Emma and Georgina Bloomberg Arms and Armor Court, in the John Pierpont Morgan Wing at the Metropolitan Museum of Art. Image © Saxon Henry. Hindsight is 20/20, as they say. Looking back to the Tudor Era from this great distance, it’s easy to see how barbaric a sport jousting was. But before you feel all modern and lofty, consider America’s devotion to football, even after the discovery of its deadly occurrence of brain trauma. A Hans Holbein the Younger portrait of Henry VIII. Courtesy Google Art Project. If you can’t imagine our country without this raucous sport, you know how the Tudor kings like Henry VII and Henry VIII and their courtiers felt about jousting—it simply would not have been Medieval England without the sport, and exorbitant amounts of money were spent renovating during the Tudor Era when tiltyards—enclosed courtyards for jousting—were all the rage. 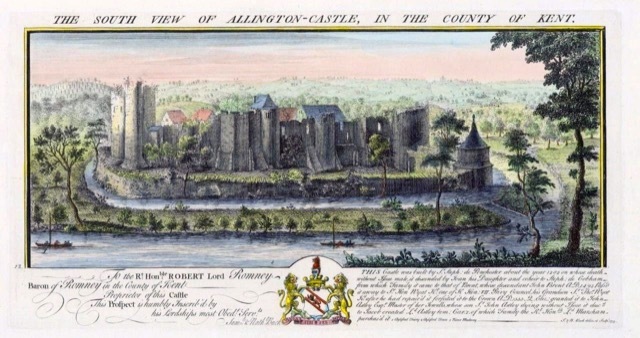 The South View of Allington Castle in 1282. 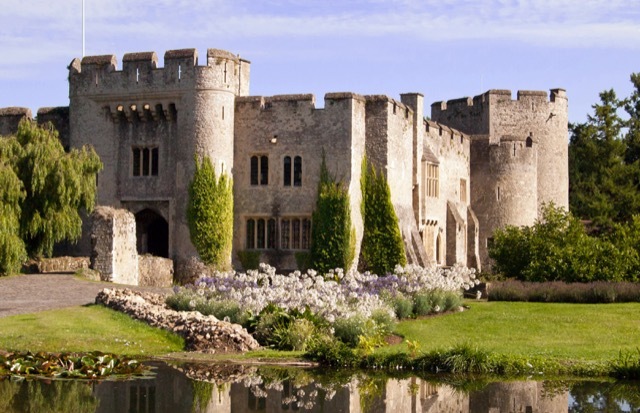 Take Allington Castle near Maidstone in Kent, for instance, which belonged to Sir Henry Wyatt. He purchased the property (shown in the postcard above in pre-Tudor times) in 1497 and renovated it to serve as his main residence, which he intended to be an impressive backdrop for high-level entertaining. 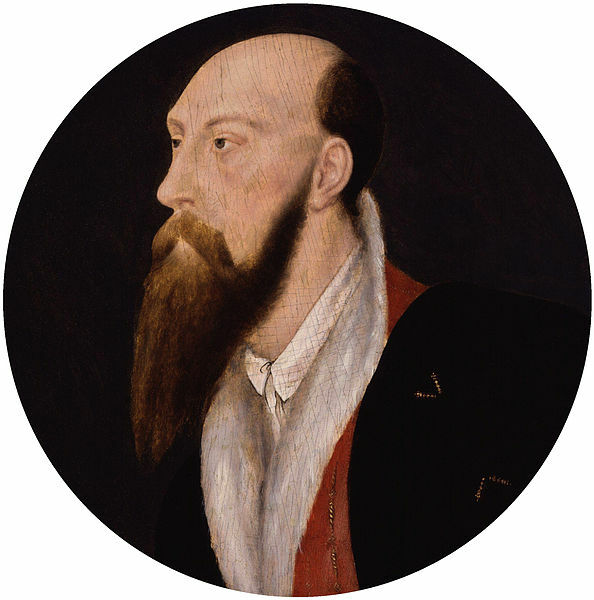 “In went fashionable large windows and new fireplaces (to replace the lost heat), a new kitchen, and a lady’s bower for the wife he married at the age of 42: one Anne Skinner, of Reigate in Surrey,” wrote Nicola Shulman in Graven with Diamonds, her biography of Thomas Wyatt, Henry’s oldest son. Sir Henry Wyatt by Hans Holbein the Younger. 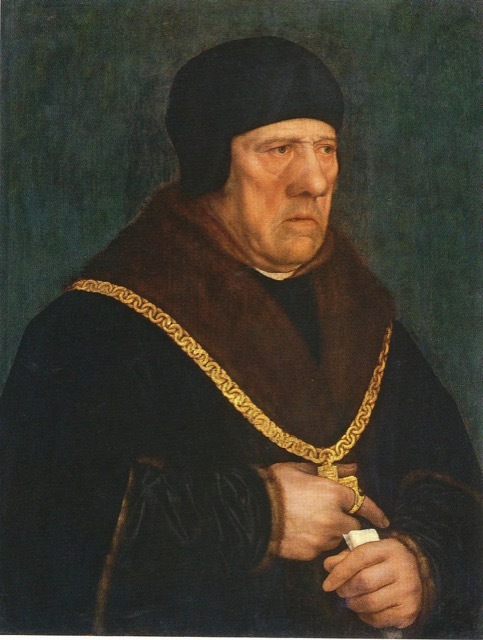 Image courtesy WikiMedia and Susan Foister’s “Holbein in England,” the Tate. A painting of Sir Thomas Wyatt by Hans Holbein the Younger [one busy artist during the Tudor era]. Image courtesy WikiMedia. She reports that the young man as clever, quick-witted, fluent, studious, tall, graceful and athletic, adding that he was good-looking enough “to play himself on network television—the very boy, in short, to go for a courtier and complete Henry Wyatt’s program of advancement.” With a home like Allington as his birthright, this young chevalier’s ambitions would have been furthered quite nicely. 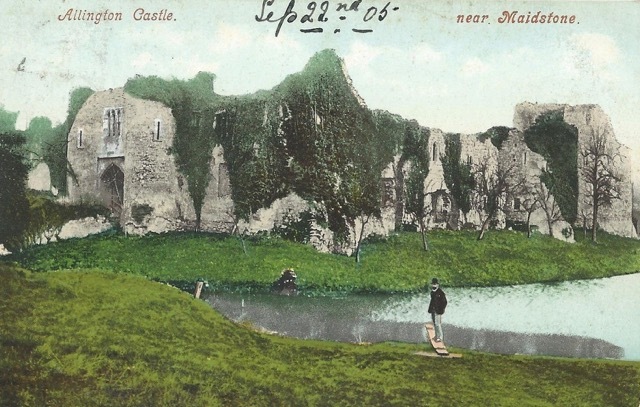 Allington Castle as it was in 1905, not a good year for the historic façade. Though stately and stalwart during this heyday, the above image of Allington shows that it was in ruins by 1905, proof that even the greatest houses in the UK during the medieval era were ephemeral seats of power—the forces of time and marauding cultures not kind to them. Fortunately for history buffs, it has been restored to an even finer splendor than it would have exuded during Wyatt’s ownership, the image below a testament to sumptuousness the Tudor courtiers who once called it home would not have thought possible. View of a restored Allington Castle, Kent, in modern times. Images courtesy WikiMedia and Prioryman. What these determined influencers did know was chivalry. Few other eras in history, save King Arthur’s realm, valued these rites of passage as much as the courtiers who walked the halls of England’s Tudor castles. Since it’s not a common subject during our modern times, perhaps a quick primer on the varied elements of the program of advancement called chivalry is in order. 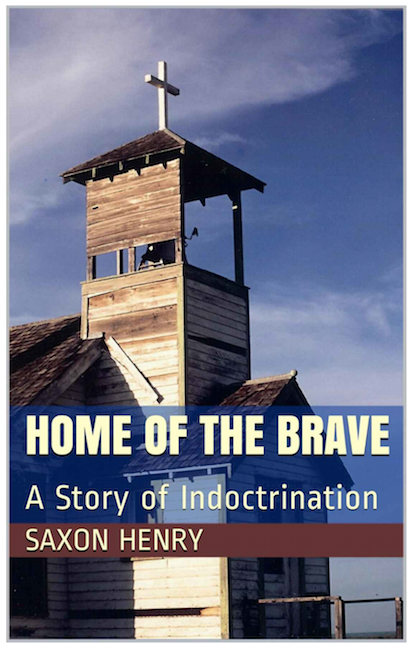 The school of chivalry was an extensive curriculum that consisted of social organization, moral observance, personal conduct, sexual relations and martial combat. The latter, of course, included jousting. The pageantry surrounding the tournaments evolved into one of the most important opportunities for proving wealth and power that existed during the sixteenth century, the sport’s heyday. Henry Wyatt would become one of the largest landowners in Kent under the two Tudor kings he served, and he wanted his son to have everything a powerful courtier would require to rise to the top of the social pecking order, which made Allington Castle with its authentic tiltyard, reputedly the oldest in England, a slam-dunk. 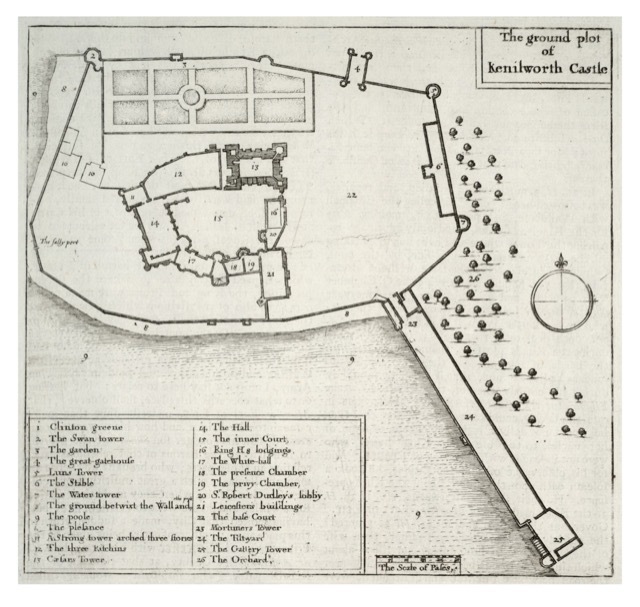 This ground plot of Kenilworth Castle shows the Tiltyard extending from the manicured grounds, number 24 on the map. Image courtesy of WikiMedia and the University of Toronto Wenceslaus Hollar Digital Collection, scanned by University of Toronto. Jousting was so important to Henry VIII, in whose court Thomas Wyatt was a major player, that historical novelists find clever ways of noting his obsession with all things chivalric. There is a moment during the PBS Masterpiece series Wolf Hall, based upon Hilary Mantel’s novel of the same name, when the King—played jauntily by Damien Lewis—says, “Call her Elizabeth. Cancel the jousts.” This was pitch-perfect, as he had just learned his much-anticipated child with Anne Boleyn was a girl, not a happy day in the life of a King without a son. I was thrilled to hear the name of the series called when the Golden Globe was awarded to its creators for the “Best Television Limited Series or Motion Picture Made for Television.” If you haven’t seen it, Mark Rylance plays Thomas Cromwell with as quietly powerful a countenance as I’ve ever seen. Quentin Letts, writing for The Daily Mail agrees, and it’s a nice read. Mantel certainly created a BBC series that achieved the level of drama the King is said to have required in order to thrive—the celebratory occasions such as jousts just one element of courtly life. 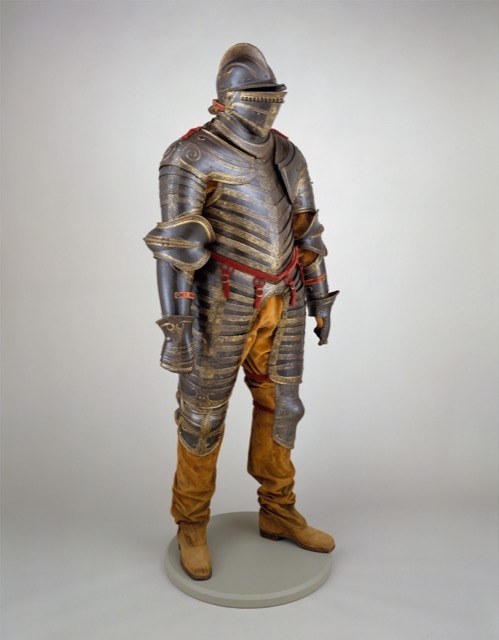 The field armor of King Henry VIII armor, circa 1544, made in Italy of steel, gold, textile and leather. Image © Saxon Henry. By the time Henry VIII had become king, the chivalric program of outdoor games was evolving away from the original purpose of training exercises for knights who would eventually face real combat. Shulman cites archaeological finds at Bosworth Field as proof that the skills were no longer needed on the battlefield by his reign because wars were being fought with longbows and gunpowder by then, the soldiers captained by professionals rather than monarchs. As time moved along, she notes, “the realities of warfare had drifted far from the joust and the tourney,” and specialized jousting armor was being developed solely for tournament use—“far too heavy for proper fighting but perfect for breaking lances upon without harming the occupant of the suit.” You can see a lighter version that was meant for the battlefield in my image of Henry VIII’s field armor at the Metropolitan Museum of Art above and in the MET’s image showing more detailing below. The armor was worn by the King in his last campaign against the French at Calais in 1544, and is now on display in the Arms and Armor Court at the MET. You can see more of the decorative detailing in the MET’s image of Henry VIII’s field armor. This doesn’t mean that the tournament players didn’t take it seriously, as they regarded themselves the inheritors of a sacred charge. “The three great princes, Henry VIII, Francis I of France and Charles V of Spain, all thought themselves the embodiment of chivalric virtue,” Shulman explains. And each excelled at pageant sports. The Jousting Rules were for a tournament in 1511 to celebrate the birth of Prince Henry. 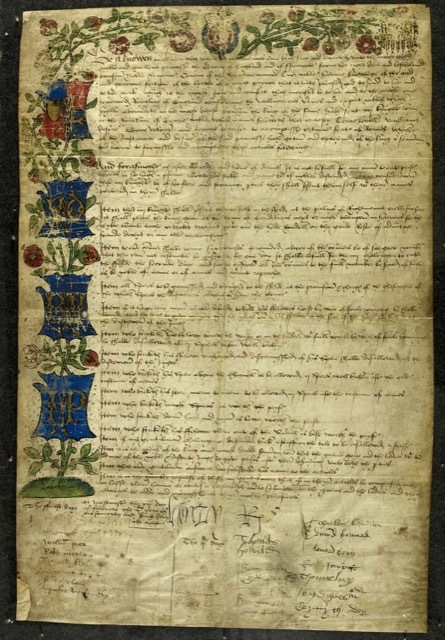 The Jousting Rules in the image above outlined the protocol for a tournament in 1511, which Henry VIII decreed to celebrate the birth of his son Henry—the first of two Dukes of Cornwall to die shortly after they were born. For this celebration, the King proclaimed an allegorical tournament based upon examples from the Court of the Dukes of Burgundy in the fifteenth century. The document, which is signed by the King, explains the background story so that his courtiers would know how the tourney would unfold so they could play their parts fittingly. Henry VIII’s signature, image courtesy the BBC. 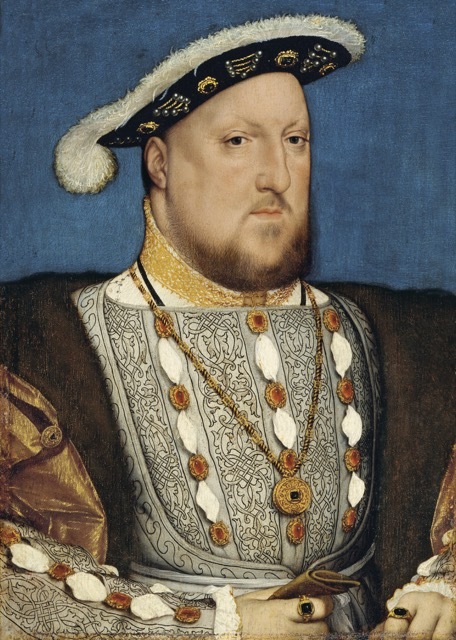 Henry VIII inherited his predilection for sport honestly, as his father, Henry VII, saw no need to devote any funds to supporting a court poet; instead, he invested in a state-of-the-art games-and-gambling complex at Richmond Palace that held facilities for jousting, bowling, tennis and archery. Shulman notes that he bet profusely on all of these pastimes. 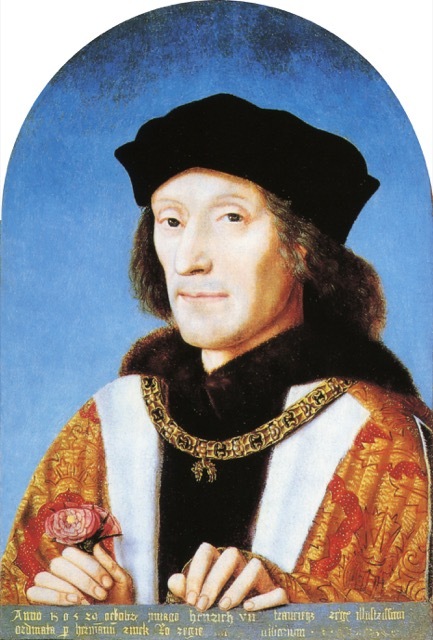 This portrait of Henry VII was painted on October 29, 1505, by order of Herman Rinck, an agent for the Holy Roman Emperor, Maximilian I. Courtesy WikiMedia and the National Portrait Gallery. The below sketch of Richmond Palace outside London, drawn by Flemish artist Anthony van den Wyngaerde, illustrates how Henry VII arranged the royal grounds. From the left, you see the Great Kitchen with its pointed roof, the main Palace Donjon*, the galleried gardens and the ruined church of Friars Observant. In his book The Royal Palaces of Tudor England, Dr. Simon Thurley points out that Richmond was progressive in its layout, though it was still built upon medieval concepts. 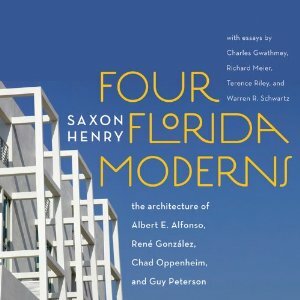 The author credits Henry VII’s time in exile in France for his avant-garde architectural predilections that moved the built vernacular forward, though it would be his son who would gravitate the royal domestic residences he built away from medieval patterns. Richmond Palace from the southwest by Wyngaerde. Image courtesy of WikiMedia and Ashmolean Museum, Oxford; image found in Thurley, S. Royal Palaces of Tudor England, London, 1993, pp.32-3. “Indeed the fundamental conservatism of its design explains why within thirty years Richmond had been relegated to a third-division royal residence rarely visited by the Court,” Thurley says. This explains why Cardinal Wolsey was relegated to the dowdier palace when Henry VIII seized the cleric’s much nicer properties and kicked him to the curb! I have a part two to this subject, which I will share soon, that will illustrate why Henry VIII was seen as a master builder and renovator when British monarchs from the Elizabethan Era forward looked back to his reign. His renovations and expansions of properties like Whitehall Palace and Hampton Court Palace—both properties sumptuously realized by Cardinal Wolsey—represent important progress in his architectural legacy. The Modern Salonnière and this entry, Renovating During the Tudor Era, © Saxon Henry, all rights reserved. 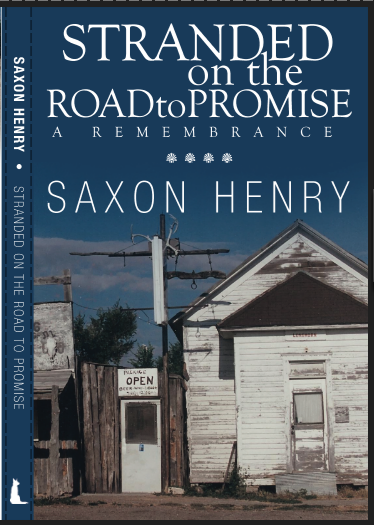 Saxon Henry is an author, poet and SEO strategist whose books include Anywhere But Here, Stranded on the Road to Promise and Four Florida Moderns. Rylance’s brilliance! 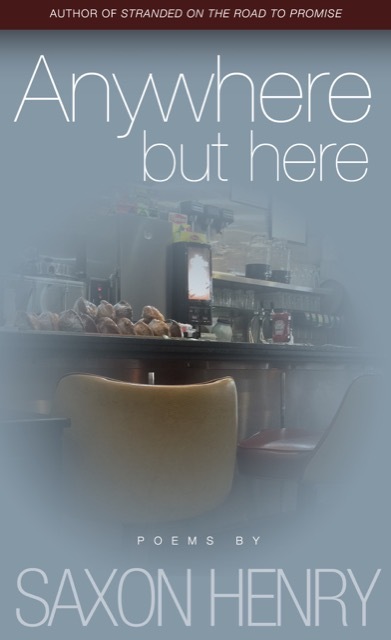 ;} Great post! Then my job here is done! Anytime I can influence a gal pal to revisit the magnificent calm of Mark Rylance, I feel I have served my purpose in life! I’m glad you enjoyed the post, Zina!